A young girl in Emart, Naserian Mission holding bottle from the two sources of water in the area. The small bottle in her right hand is from a man-made water-collection pond. The larger bottle in her left hand is from the water tanks provided by KELC. 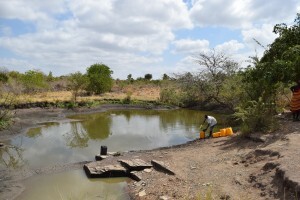 The water from the KELC tanks is much cleaner and free of water-borne disease. Water is essential to life. Unfortunately in certain parts of Kenya, access to clean and safe drinking water is unavailable. In several KELC communities drinking water is not accessible, so people spend several hours, walking long distances to find clean drinking water. The distance and time required to fetch water is a considerable burden to these families. In some places, people walk several kilometers to fetch water, but the water is dirty and unsafe for drinking. 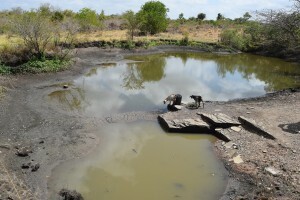 The only option they have for water is from man-made collection ponds, which are contaminated with agriculture and livestock run-off, as well as bacteria and parasites. 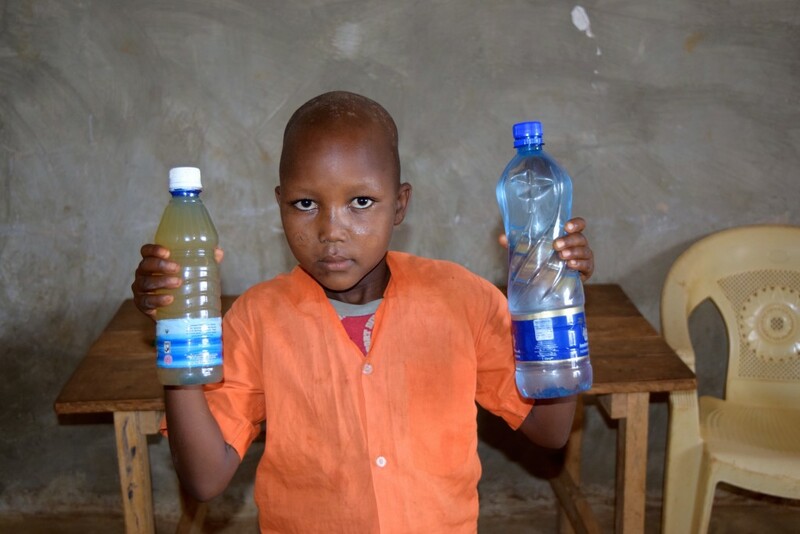 KELC is motivated to assist our members who have little or no access to safe, clean drinking water. Last year the KELC Youth Department donated four rainwater collection tanks to congregations in Naserian Mission in Southeast Kenya. The water tanks collect rainwater during the rainy season and then the water can be used during the lengthy dry season. 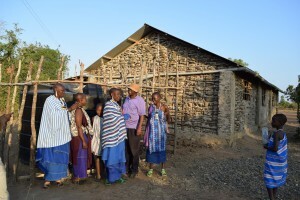 Recently, a group from KELC Head Office traveled to Naserian Mission to assess the impact of the water tanks and discuss the future of the program with congregation members. 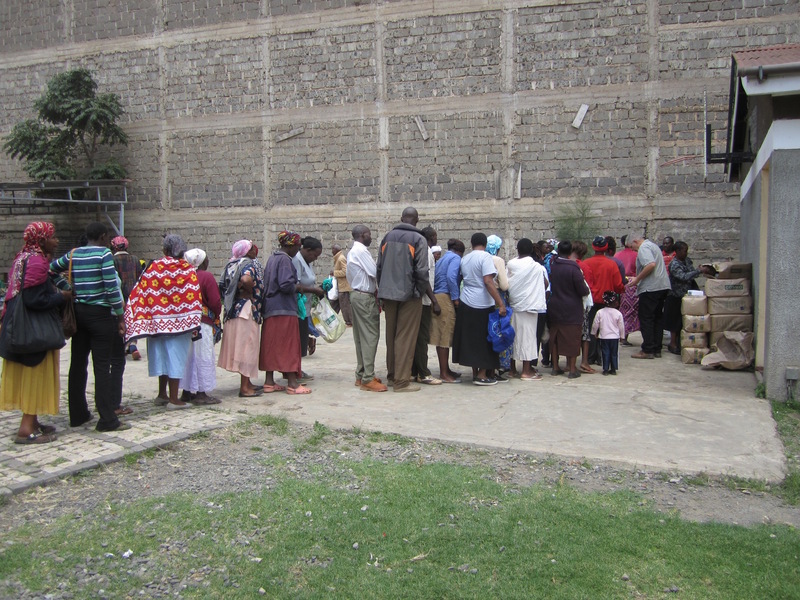 During the evaluation, church members sang the praises of their water tanks. People reported that water-borne diseases were drastically reduced, and the health of their children had improved. Women discussed their relief that they no longer spend many hours of their day walking long distances to fetch water. They can now use their time on more valuable tasks, such as childcare, household maintenance, and personal hobbies. Furthermore, the water tanks have become a small income-generating project for the congregations. 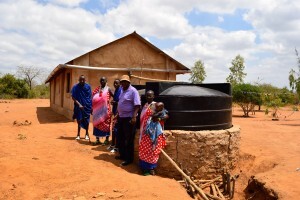 Through the small fee for filling a jug of water, congregations are able to pay for maintenance on the tank, and many congregations have improved the structure of their church building with the profit from their water tank. Some congregations mentioned plans to save the profit from their water tank to purchase a second tank, which will help them to supply surrounding communities with clean, safe drinking water. The water tank project has been a success for these congregations in Naserian Mission. KELC is thankful to be able to serve our congregations in their quest to find safe sources of drinking water. We pray that we will be able to continue this program and expand the number of water tanks in our congregations so that all of our members will have reliable access to drinking water. Church workers standing with their water tank at Majangwani congregation. Church members showing their water tank to Youth Deparment coordinator, Jonathan Kapanga. 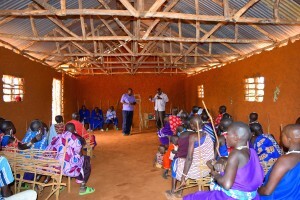 Church members during an evaluation seminar to discuss the use of water tanks. 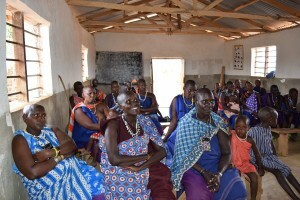 KELC members in Namelok discussing their need for a source of clean water. 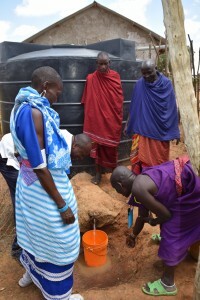 Church members in Kitingisha congregation showing their water tank in use. 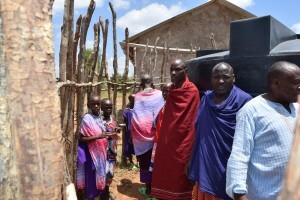 Church elders standing with their water tank in Kitingisha. 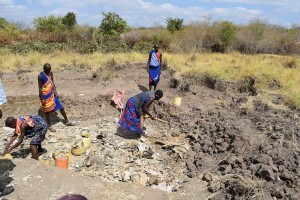 Community members digging a pond to collect rainwater. A man-made water-collection pond used for drinking water in the Naserian area. Livestock drinking from the water pond that is also used by people for drinking water.